transmissions. 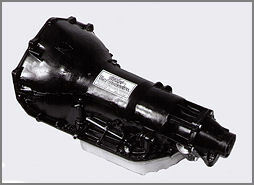 Each transmission is custom built to our customers application. offroad or street. We have the transmission for your application. These transmissions are dyno tested before shipping. We have a full line of components to upgrade any of these units for big power! Contact us today for more information on these upgrades! billet planetary carriers. Our stoutest 400! ~ High pressure protree transbrake valve body. ~ 2.10 - 1.40 Billet straight cut planetary assy. ~ Billet input shaft & aluminum drum assy. ~ Forged steel stator tube. ~ Forward & direct 7 X 7 clutch packs. times larger than the 34 element. ~ Reinforced 5 pack intermediate clutch. ~ Deep aluminum pan kit. ~ 475 heavy duty spirol lock case trimmed for clearance. This is a custom unit built for your combination! quality,and reliability that Mike's is famous for ! ~High pressure protree transbrake valve body. ~Billet input shaft & drum assembly. ~Forward & direct 7X7 clutch packs. ~Reinforced five pack intermediate clutch. 3 times larger than the 34 element sprag. ~475 Heavy duty spiral lock case trimmed for clearance. 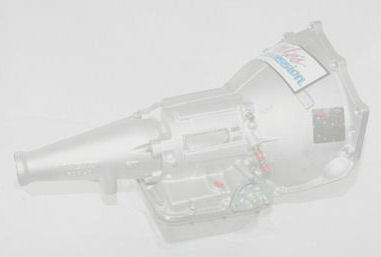 If you are looking for racing 400 we have the transmission for you! a durable three speed automatic this is it! ~6 Clutch forward & direct packs. ~Modified direct drum with 34 element sprag. ~400 Spiral lock case trimmed for clearance. specifically modified for use with high horsepower engines and heavy cars. If you are looking for a durable three speed automatic this is it! ~Forward or reverse manual valve body. car on the street. It has the durability of a competition transmission. ~ Special street strip shift kit installed in valve body. extra charge added to above price. See core charge page. AND AUXILLARY TRANSMISSION COOLER BE INSTALLED ! ALL OF OUR TRANSMISSIONS ARE CUSTOM BUILT TO YOUR APPLICATION PLEASE CALL US AND LET US SET UP THE PERFECT TRANSMISSION FOR YOU TODAY!!! ALL PRICES ARE SUBJECT TO CHANGE WITHOUT NOTICE !